From a gold-encrusted skull to 6-ft-tall glass, these thirteen most expensive bongs in the world prove getting high is priceless. If you want a quick and powerful high, a bong will do the trick. In fact, you can use just about anything to create a bong without breaking the bank. However, some cannabis consumers have expensive taste and don’t mind paying thousands of dollars to get stoned. From a gold-encrusted skull to 6-ft-tall glass, here are the thirteen most expensive bongs in the world that prove getting high is priceless. If you have $100,000 to spare, then that’ll earn you Scott Deppe’s skull bong. In fact, this bong has gold encrusted cannabis leaves. Not to mention, it’s so extravagant that no one has dared to try and outshine its glory. Can you imagine smoking out of this? Not only is it huge, but it’s probably the most expensive thing you will ever hold in your hands. To be exact, the RooR Skull Gun costs a whopping $90,000. This bong looks like something that Jack Sparrow would gladly hit. Also, it’s so detailed that it’s hard to say how you even smoke it. No need to think about it too long, though. The Pirate Ship Builder is $30,000 bucks, and likely won’t be holding your bud anytime soon. Do you remember playing with Hot Wheels as a child? If so, this bubbler will give you a flashback to the good ole days. However, this particular $20,000 hot rod is a lot more expensive than the toy cars you’re used to playing with from the store. Mushrooms, aliens, pot leafs and plenty of colors. What more could you want? Perhaps $20,000, because that’s how much you need to score this beauty. Rather than sitting down to get high, you can stand up and blaze with this 6-foot bong. The name, in particular, comes from King Arthur’s legendary sword and supposedly has magical powers. You better hope so, it retails for $15,000. Yikes. As can be seen, this bong screams Grateful Dead. In fact, it screams a lot more than that with its mushrooms and rainbows. And for a brutal $14,251 bucks, you can hit this trippy device. A balloon giraffe animal/bong? Shut-the-front-door. If a clown could put together this together, he or she would make some serious dough. Unfortunately, not many people have $7,000 in their pockets. Still, you can at least dream of such a thing. Being that this $7,000 bong does indeed include both a squid and helicopter all in one product, the name couldn’t be more fitting. 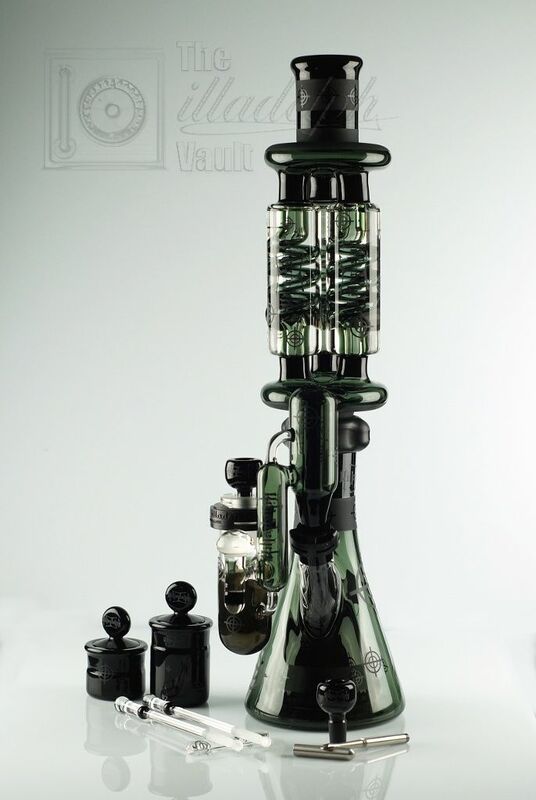 Unlike most bongs, this one consists of black glass rather than clear. Not to mention, its triple coils makes it worth more than the asking price of $6,800.95. 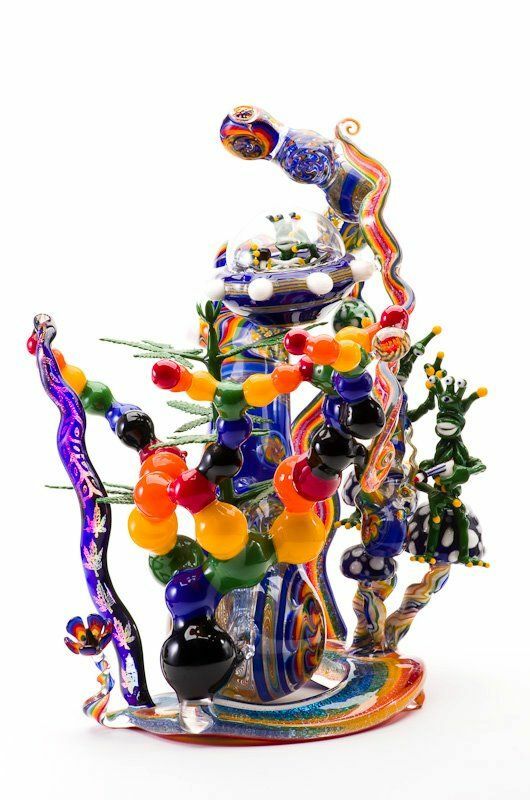 You need this $6,000 bong in your life. Not only does it have a sealed off chamber for butane, but it also comes with its own torch within the glass. Also, it has five separate chambers. This $6,000 bong may look simple, but its design is what makes it stand out. Just look at the gorgeous colors. 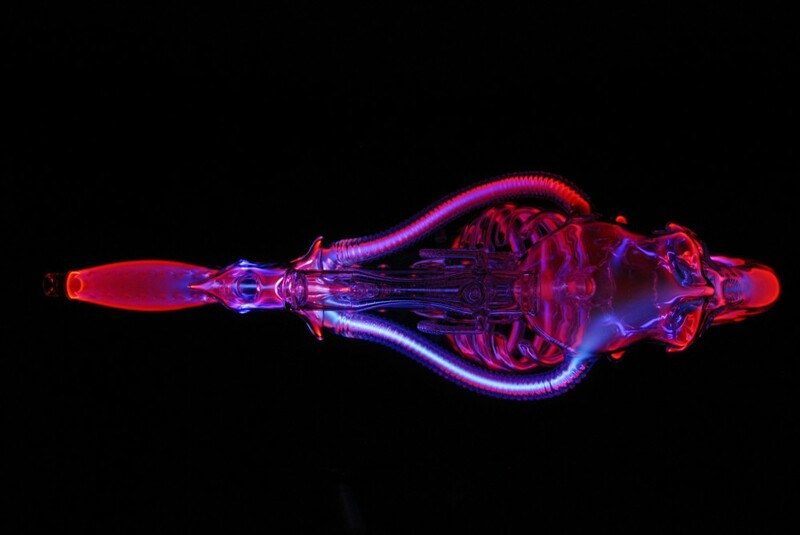 When it comes to badass rigs, this $4,600 bong is one of the best around. After all, dinosaurs are just plain awesome.